Work on the Connecticut Cooperative Business Academy began in 2009 as a project of the Cooperative Development Institute. Early in 2010, during the planning phase, several groups in and around Willimantic, CT received small grants from Access Agency, a local community action organization, to start developing cooperatives. Therefore, this town was identified as a potential hub of cooperative enterprise and chosen for CCBA's pilot project site. Also in 2010, the CCBA Steering Committee submitted a funding proposal to the U.S. Department of Agriculture which was approved for RBEG (Rural Business Enterprise Grant) funding later that year. The Academy's trainings began this January and will run through September, 2011. The main mission of our pilot project is to help develop and support the growth of cooperatives in eastern Connecticut where rural poverty is entrenched. It has a secondary objective as well: to work with one of the local participant groups - Willimantic's Inter-Cooperative Zone (WICZ) - to create a peer support network capable of carrying on the Academy's development work after it concludes. The Academy's program includes eleven training sessions spread out over nine months (January-September, 2011); these are held every three weeks on Thursdays from 4-7 PM in one or the other of two Willimantic locations, both operated by Academy participants. Our curriculum is a mix of business-focused and co-op specific sessions. On the one hand, participants learn about "feasibility studies" and the "assessment of financial systems"; on the other, they delve into cooperative approaches to governance, making membership meaningful, and moving from conflict to common ground. All of the topics are grounded in an understanding of cooperative principles, on which our first session focused in detail. Willimantic's Inter-Cooperative Zone (WICZ), a co-sponsor of CCBA, which supported several of the participating groups in their early stages and continues to do so during the Academy's program; e.g., by conducting evaluation surveys for each session, filled out by participants. Since early January, several new groups have come on board, including a contracting and energy auditing co-op; an organic composting business; and a co-op that facilitates youth entrepreneurship and social enterprise. Each of the participating groups receives instruction from two sources. First, each group works with its own "mentor," who meets with them weekly throughout the nine months, as well as during the Academy's eleven sessions. Secondly, at these sessions, "trainers" (or "presenters") offer their experience and wisdom on specific topics identified in advance on our curriculum. Both trainers and mentors (the two groups largely overlap) have spent many years consulting with small businesses and non-profits in and around New England, and are familiar with and supportive of the cooperative approach to sustainable business. A collaborative arrangement among different stakeholders, both in the initial design stage and within the current Steering Committee. This has involved consensus decision-making between (a) non-local as well as local groups, (b) non-profit organizations and cooperatives, and (c) program participants (two are on the Steering Committee) and coordinators. To take one case, our original group of presenters and mentors included only one person with hands-on cooperative experience. Steering Committee members were not initially in agreement as to whether this was a gap that should, or even (given limited funds) could, be filled. But eventually, after much discussion, unanimous agreement was achieved that it was indeed a gap, and one we should attempt to fill (see the next section for details). 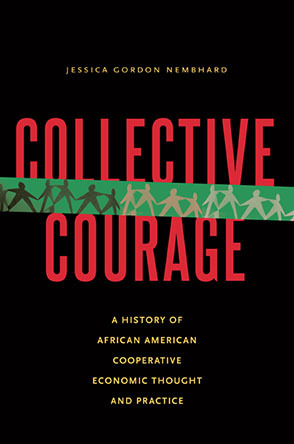 We see this sort of collaborative arrangement, which CCBA has only begun to develop, as occupying a middle ground between sometimes polarized approaches to cooperative development; i.e., those initiated by non-profit organizations vs. those initiated by participant-owners; or those developed by local groups vs. those which outside organizations develop. Rather than relying on only one side of these allegedly opposing approaches, we have tried to combine them. To help fill the gap mentioned in the above section on distinctive features, CCBA has reached out to Equal Exchange, a mature and very successful worker cooperative, to provide a presenter for one of our upcoming sessions. The content will focus on both EE's extensive member education programs and their innovative marketing approaches. We also hope to include presentations from additional worker cooperatives.The Academy's Steering Committee is also considering a proposal from the Public and Engagement program of UCONN's Continuing Studies Center to discuss the co-development of non-credit certificate programs, on varying levels, in cooperative education. In addition, CCBA has had fruitful exchanges with Green Worker Cooperatives in Bronx, NY, as GWC has re-launched its own Academy. CCBA is glad to openly - and without cost - share its curriculum; its extensive notes (compiled by a participant) on each session; and our eventual self-evaluation with other cooperative developers as well as the entire cooperative community. We ourselves have greatly benefitted and drawn inspiration from many pioneer co-op developers, including the Cooperation Works! (CW!) professional development program, the Center for Family Life, Third Coast Workers, and the Southern New Hampshire University Community Economic Development program. The permanent link to this issue is http://geo.coop/node/632. Submitted by the CCBA Steering Committee . Len Krimerman is a member of Willimantic's inter-Cooperative Zone and the GEO Collective. Noemi Giszpenc is Executive Director of the Cooperative Development Institute and member of the CCBA Steering Committee. Mary Hoyer is Co-Chair of the U.S. Federation of Worker Co-ops UnionCo-ops Committee. Mat Turpin is Founding owner of the Steampunk Café LLC, a fair trade, organic and green worker cooperative. Brian Van Slyke is Member of the Toolbox for Education and Social Action (http://toolboxfored.org), a worker-owned enterprise that provides services to support individuals and organizations developing engaging educational materials, programs, and digital resources.